Mark Twain once said, “It is the prohibition that makes anything precious.” The United States learned that lesson the hard way not long after January 17, 1920, when it made the nation’s fifth-largest industry largely illegal, a move near-universally panned ever since. Smuggling alcohol during Prohibition became its own industry, and naturally, gang violence meant to lubricate that smuggling increased, as well. But necessity, as they say, is the mother of invention, and some of the ways people hid alcohol during Prohibition were quite inventive indeed. If it hadn’t all come to a fortunate end in 1933, hiding liquor might have become another major industry. Read on for some of the most ingenious tricks people devised for concealing alcohol during the messy, embarrassing experiment known as Prohibition. Popular Science reported in 1932 about federal agents spotting “mysterious ripples seen by moonlight near the shore of the Detroit River.” An investigation uncovered hollow “torpedoes,” much like the ones in the 1926 photograph above, rigged to “an underwater cableway.” In what the magazine called “one of the most ingenious rum-smuggling devices yet disclosed,” the agents found bottles of booze that were being “reeled in” via a motor in a Canadian boathouse a mile away. The 1926 “torpedoes” served a similar function: far from just being a clever place to stash bottles, they were rigged with an air compartment… so that the torpedoes float and can be towed,” according to the original caption. So-called “flask canes” or “tippling sticks” are still a thing, even in the booze-soaked wonderland of 21st century America. One site even targets veterans by putting seals from the various branches of the US military on top of the cane. War is hell, after all, so who are we to judge? “Flask” might not be quite the right word for these behemoths. The original 1928 caption called them “tins” concealed by a “floppy overcoat.” No word on how exactly these were held in place, but it they were full, they must have given this young flapper quite the workout. This fake book “flask” with the clever title Spring Poems: The Four Swallows is actually, as the name implies, four flasks in one. Using all four vials, a sneaky drinker could get girl-drink drunk on a pretty complicated cocktail. From the Walter P. Reuther Library at Wayne State University, this circa-1920s photo depicts a man showing off his trick for transporting booze throughout Detroit. He reportedly only showed this to the press, for obvious reasons, and remained anonymous. A shocking 75% of all the alcohol smuggled into the US during Prohibition crossed the border at the so-called “Windsor-Detroit Funnel,” the nickname for waterways between Michigan and Ontario. By 1929, the second largest industry in Detroit, believe it or not, was “rumrunning,” which netted $215 million per year. 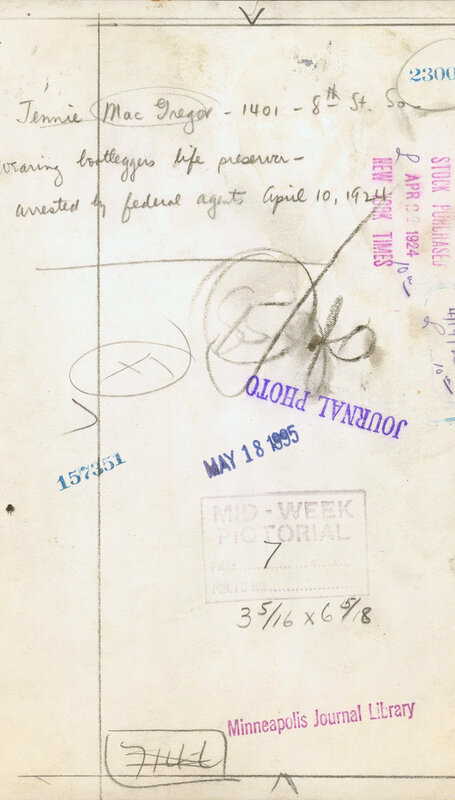 J. Anne Funderburg’s Bootleggers and Beer Barons of the Prohibition Era tells the story of one “unhurried smuggler” caught by US Customs agents after he dropped a basket of eggs. The agents later learned the smuggler carefully poked tiny holes in all of the eggs, drained them, and then sealed them back up, full of surely eggy-tasting booze. A “frazzled Ukrainian housewife” tried the same trick, but a savvy agent thwarted her by simply breaking it in his hand, sending the liquor oozing to the ground. During Prohibition, rum-runners took advantage of Detroit’s close proximity to Ontario – home of more favorable liquor laws – to smuggle booze across the border. This Detroit News picture from 1929 shows how smugglers used speed boats, binoculars, and lookouts to pull it off. In the winter when the water was frozen over, smugglers got bold and “simply drove across them or skated across the ice, dragging sleds full of whiskey behind.” Sometimes, booze-laden trucks broke through the ice while en route. Published in The New York Times’ Mid-Week Pictorial in January 1930, this sneaky trick was dubbed“The Latest Thing in Speakeasies.” A whopping twelve pint bottles of liquor were discovered in this literally tailor-made hidey-hole. A Philadelphia tailor rigged a papier-mâché clothes dummy to hold the booze, but his shop was raided by police for some reason. Maybe the booze-stink wafting off all the suits?